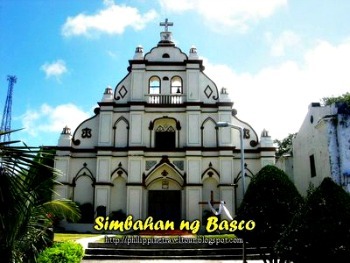 The first Basco ecclesiastical museum is seen to be the first functional museum in in Batanes province. It is located on the ground floor of the convent, a part of the parish pastoral hall and lectors lounge that are under renovation. The museum is the 31st project and apostolic work of Rev. Fr. Ronaldo B. Manabat parish priest of Basco since May 2011. Fr. Zenki, as Manabat is popularly called, emphasized that the museum he initiated is meant to keep and preserve the native Ivatan Catholic antiques of liturgical vestments, sacred vessels, holy images, canonical books, original documents handwritten dating back to 1901, old typewriter used by pre-war bishops and priests who served Batanes, old host-maker used by beatas and other assorted antique ecclesiastical materials. He also said preserving these materials retell a long narrative of Ivatan Catholic culture and identity and their significance to our elders, to the present, especially to the young generation, including the unborn Ivatans. He also said he is doing all these things to raise awareness of the young generation to make them appreciate the native Ivatan Catholic identity and the culture itself, which they no longer experience in their time. A thanksgiving mass was presided over by Fr. Zenki before the soft-launching, turnover and blessing of the museum. The blessing rites were attended by multisectoral groups: the education sector, the provincial government of Batanes, the nongovernment sector and parishioners. Fr. Zenki formally turned over the key to the parish museum to Jaime Castillo, chair of the parish committee on cultural heritage. Castillo is education supervisor I of the Department of Education (DepEd). DepEd OIC Supt. Wivina B. Gonzales cited her commitment to support the museum in terms of moral, spiritual and educational counterpart to the level of her capacity and the education sector. Gonzales has been a choir member since her childhood. She committed to provide old copies of Catholic Ivatan songs and those in English version that she had kept. She also expressed her support by helping heighten the appreciation and support of pupils, students and her staff province wide. Each compartment is well-lit for the convenience of viewers to read the captions provided by Fr.Zenki. Gov. Vicente Gato also professed the commitment of the provincial government to support the museum. He said the collection of ecclesiastical materials and documents speak well of our identity as Ivatan Catholics and this is truly a part of the cultural heritage. Former Governor Telesforo Castillejos, a promoter of Batanes eco-tourism, expressed his appreciation for the initiative of Fr. Zenki which adds to the list of the province's tourists spot. He said not only Ivatans will learn about the province's Catholic culture of the past but tourists and guests as well. Pedro C. Bayesa, parish pastoral council president, and Jaime Castillo, chair of the parish committee on cultural heritage, acknowledged this meaningful event for the people of Batanes. Most of the items were personally saved and restored by Fr. Zenki during the start of the rehabilitation of the Basco cathedral from May 2007-2008. Others were returned by some Catholics upon the appeal of Fr. Zenki. Still, there are a number of antique liturgical vestments and vests of holy images that have not been set. The museum seems not able to accommodate all items so that additional lower compartment at the center will be installed, if the expansion of the room is not possible. A mini-donation box stands right of the exit door. Donations as low as P1 per viewer will keep the museum's maintenance. Fr. Zenki said the museum has a staff of a photographer and one who does the role of guest relations/reception officer or viewers' guide. The Batanes Heritage Foundation Inc. (BHFI) noted that although the documents are locked in glass cabinets, there are curious guests interested to leaf through the pages to read parts of the more than century-old original documents. But the foundation thought it best that the sensitive documents not be touched by bare hands. The museum then suggested providing curious guests with light gloves to protect the aging manuscripts and the original writings from crumbling due to old age. These old materials deserve care, the BHFI said. Tourists have long sought visiting the new museum in Batanes. They have had to content themselves with the existing ones, which are mini-museums in schools. Tourists who came to this place three years ago had suggested that the mini-museums they saw be merged into one comprehensive museum. The mini-museums house various collections done by independent and district schools, and merging them into one had not been tried by the schools. With the museum in place in Basco, it is expected to draw the students, locals, guests and tourists to view the antiques that tell about the Ivatan Catholic identity. The museum preserves the province's history, a history that remains educational to all across generations not only Ivatans but whoever comes to Batanes. This museum was initiated by Rev. Fr. Ronaldo B.Manabat, parish priest of Basco, who is the first priest in Batanes who was awarded by the municipal government of Basco on the occasion of Basco Day Celebration on April 15, 2011 a trophy bannering Basco Love Ko award in recognition of his efforts to promote and preserve the Ivatan culture, language and traditions.